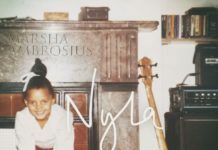 Marsha Ambrosius will be releasing her third studio album NYLA on September 14th via Entertainment One. She premieres the official video for her new single “Old Times”. Directed by the RiskTakerz. Produced by DJ Camper. You can download “Old Times” now on iTunes/Google Play.